BKE Geometric Wood Earring is rated 5.0 out of 5 by 1. Rated 5 out of 5 by Kina0000 from Can't Miss Them!! !I love these they are so pretty! I brought 2 extra pair! 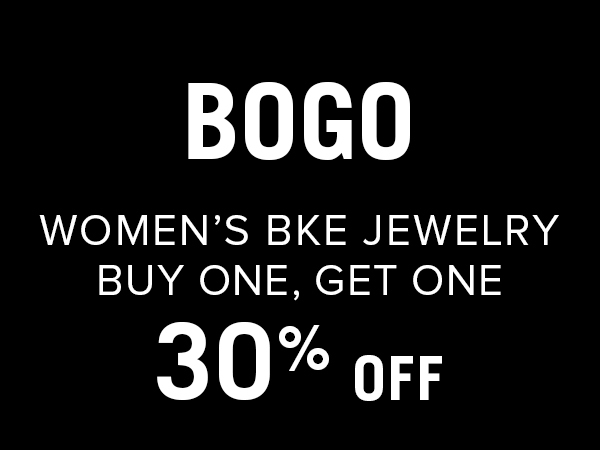 Buy one Select Regular Priced Women's BKE Jewelry and get the second one 30% off. In stores and on buckle.com. Includes select regular priced BKE necklaces, bracelets, earrings and rings. Second item must be of equal or lesser value. Specials cannot be combined. Final price is reflected in cart. While supplies last.